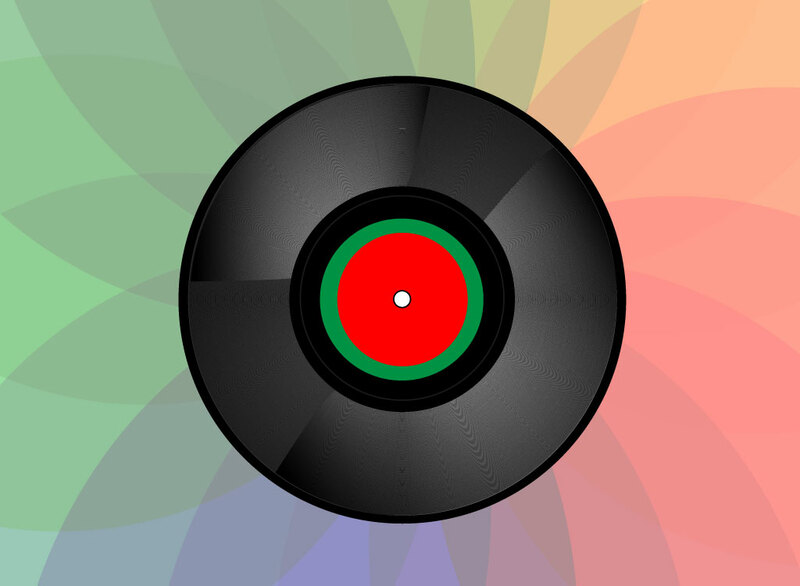 Music vector graphic or icon of a vinyl record with a red and green blank center label. Complete with the sound grooves so it looks realistic and the free download is ready for your nostalgic and retro themes. Great for your music designs or use it for a vintage record collectors website. Cool footage to design music album, club, dancing, equipment, gramophone, dj, turntable, entertainment, house, techno, electro, retro technology and tunes graphics. Tags: Album, Audio, Deejay, Disc, Disco, Disk, Dj, Lp, Maxi, Single, Songs, Sound.